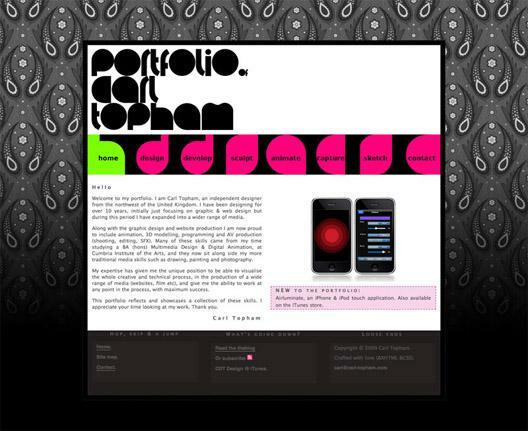 A redesign of my portfolio website. Built in XHTML and CSS. A chunky font was designed for the menu area and then also used in the header. The bulky nature of the font allows it to be filled with patterns and images relevant to the content.